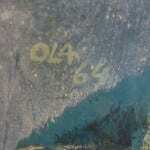 His work is signed OLA on the front with a date ’64. 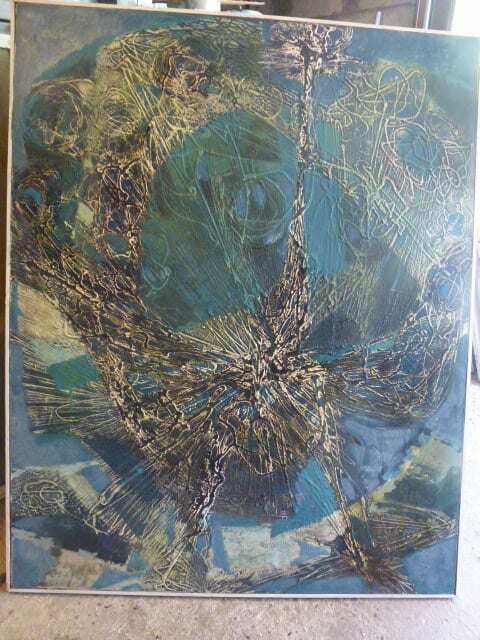 His abstract style is like that of Jackson Pollack. This is an artist of extreme talent. 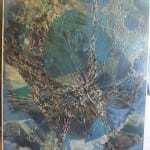 The size is 32″ x 40″ including the thin white frame. The colors are very exciting and the painting is ready to hang. The condition is very good. Please ask for more pictures if you wish. Shipping is at the expense of the buyer.